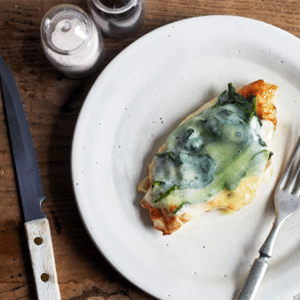 This classic Chicken Florentine recipe makes for an easy weeknight meal that comes together in a flash. 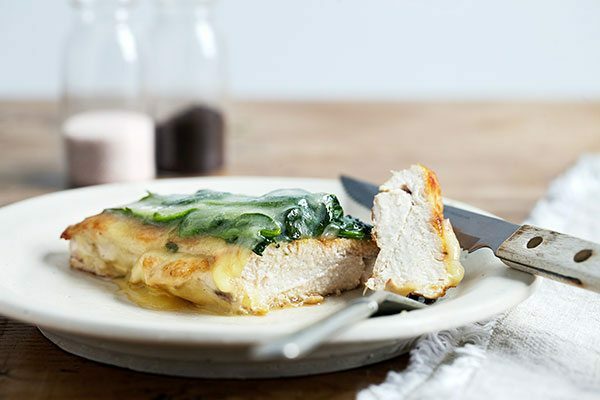 In this healthy version, lean chicken breast is topped with steamed spinach. 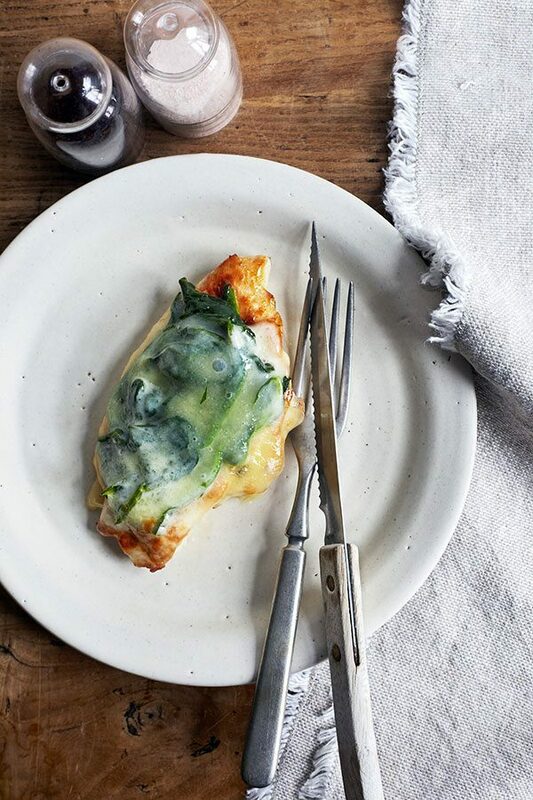 Since Chicken Florentine just wouldn’t be the same without some gooey melted cheese on top, a slice of melted mozzarella cheese is the finishing touch. 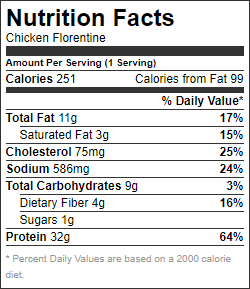 The end result is so delicious, you’d never know this Chicken Florentine recipe is healthier than the rest. We wrote the recipe as a single serving for convenience, but it can be easily scaled up to serve more – or for meal prep throughout the week. If you don’t have a steamer, you can quickly cook spinach leaves in a medium-hot, nonstick pan. You don’t even need oil! As it heats up, the moisture in the spinach causes it to wilt just as if it were steamed. If you decide to cook it this way, stir frequently to prevent sticking. Heat oil in ovenproof skillet over medium-high heat. Add chicken; cook for 3 to 5 minutes on each side, or until no longer pink in the middle. Remove from heat. 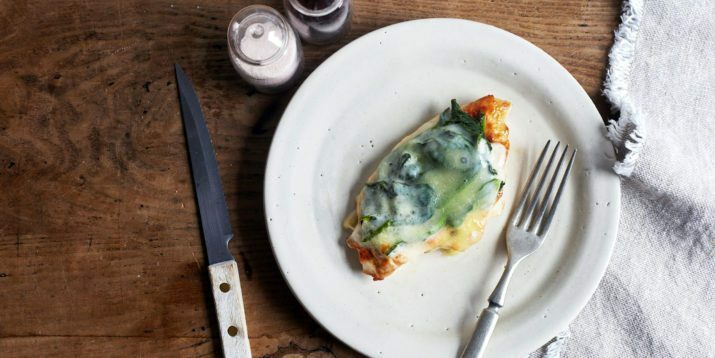 Top chicken with spinach and cheese. Bake for 2 to 3 minutes, or until cheese is melted.